Biotech Industry Scores in Stem Cell Agency Grant Round: Beginning of a Trend? In what is a first for the $3 billion California stem cell agency, biotech firms have snagged 20 percent of the cash in a grant round offered by the state's research enterprise. The industry has long been unhappy with its picayune share of the $1.3 billion that CIRM has given away so far. The agency has talked about moving towards a more business-friendly position, but last week's awards were the first hard-cash demonstration – albeit a tiny one – of CIRM's commitment. The round totalled only $1.8 million. Four biotech businesses were awarded $368,519. However, the awards are for planning for applications for a whopping $240 million disease team round next year. It is all part of a CIRM's aggressive push for clinical therapies. The success rate for the business applicants was also high – 50 percent. Eight firms applied, CIRM told the California Stem Cell Report. In all, 36 applications were received and 19 approved. Since CIRM began approving awards in late 2005, only 7 percent of all grants have gone to businesses -- that in a state that is one of the hotbeds globally of the biotech industry. Scoring the highest in last week's round with an 87 was the application , for $65,120 from Tim Hoey, a senior vice president at OncoMed Pharmaceuticals, Inc., of Redwood City, Ca. The score topped applicants from Stanford, UCLA and other vaunted stem cell research institutions. OncoMed is looking at developing a new anti-cancer drug. The winning businesses included two publicly traded firms, Geron Corp. of Menlo Park, Ca., and Stem Cells Inc., of Newark, Ca. It was the second CIRM award for Geron, which won a $25 million loan last May for help with its spinal injury clinical trial. Geron's $106,239 planning grant (scored at 79) involves an hESC treatment for heart failure. Jane Lebkowski, senior vice president and chief scientific officer, is the principal investigator on the project. Stem Cells Inc. received $98,050 for a look at an Alzheimer's treatment. Its proposal also scored 79. Alexandra Capela is taking the lead on the project. The fourth winning business was Wintherix, LLC, San Diego, Ca., which scored 69 on its $99,110 application. John Hood, chief scientific officer and a co-founder of the firm will lead the research into a therapy for osteoporosis-related fractures. STANFORD, Ca. – The seaside campus of UC Santa Barbara has scored a major coup in the world of stem cell science, successfully recruiting internationally reknown scientist Peter Coffey of the UK into its research program. Coffey's decision to leave England emerged during a meeting here today of the governing board of the California stem cell agency, which awarded a $4.9 million recruitment grant to Coffey last fall. Coffey's name came up today during a discussion about extending the agency's $44 million recruitment effort. CIRM President Alan Trounson said that Coffey had made a final decision about coming to California. CIRM directors were told that Coffey would be at work in November in Santa Barbara. 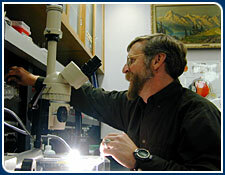 Coffey is known for his work in eye disease and is readying a clinical trial on a therapy. The growth of stem cell research at UCSB is one of the more dramatic stories to come out of passage of Prop. 71 in 2004, which created California's $3 billion research effort. The campus had virtually no stem cell program at the time. Its grants currently from CIRM run only to $13.5 million, but it has made the most of its research talent and added more. 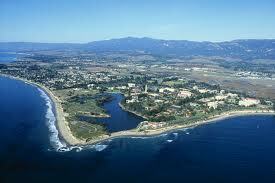 Coffey is not the first world reknown stem cell scientist to be lured to the beachfront campus nestled below the Santa Ynez mountains. Jamie Thomson of the University of Wisconsin is co-director of the stem cell center at UCSB and an adjunct professor at the school. Thomson was the first researcher to isolate human embryonic stem cells. In 2007, UC Santa Barbara's growing work in stem cells attracted a $3 million gift from one of the founders of Amgen, William Bowes. The addition of Coffey to its staff is certain to draw the attention of potential future donors along with such firms as Pfizer, which is a partner in Coffey's work in the UK and which has committed $100 million for stem cell research in that country. Coffey has been collaborating with researchers at UC Santa Barbara, including Dennis Clegg, co-director of the UCSB Center for Stem Cell Biology and Engineering, for several years. Clegg was also instrumental in recruiting Thomson. The campus is involved in a $20 million, multi-institution grant from CIRM targeting macular degeneration, the major cause of blindness among the elderly. The California school has also established a center for the study of macular degeneration. Coffey, UCSB, USC, Caltech, the City of Hope and University College, London, Coffey's former employer, are tied together in The California Project to Cure Blindness, which is seeking to "prevent the loss of vision and improve the quality of life for those suffering from age-related macular degeneration by 2015." The California stem cell agency today made major changes in grant review procedures for its key clinical trial and disease team rounds in an effort to improve decision-making and ultimately enhance the results of the research. On a voice vote, the CIRM board voted unanimously to engage potential applicants earlier in the review process and to give them an opportunity to respond to key issues ahead of the formal review by the CIRM grant review group. CIRM Director Os Steward of UC Irvine described the changes as an "extraordinary way to get it right." Director Claire Pomeroy, dean of the UC Davis School of Medicine, said the new procedures were an innovation that may be of great interest to other grant-making institutions. . Under the changes, CIRM will hold a Q&A session with applicants in advance of submission of applications. After an initial evaluation, applicants will be provided key questions posed by reviewers that applicants can respond to prior to the final peer review. During the final meeting of the grant review group, applicants would be asked to be available to respond by phone to any "pivotal questions" that arise. The process also would allow reviewers to defer an application for receipt of additional information. Directors of the California stem cell agency this afternoon made the first installment on a $242 million effort to drive stem cell research into the clinic. The CIRM board approved $1.8 million for 19 planning grants for a $240 million disease team round to be awarded next year. Seventeen applications were rejected. Five of the awards had conditions that must be met before they could continue in the disease team competition. Both academic and business researchers could compete for the grants. UCLA researchers John Adams and Chia Soo were unsuccessful in asking the board to reverse a negative decision on their planning grant application. Here is a list of the researchers and a link to the CIRM news release. STANFORD -- The chairman of the California stem cell agency this morning expressed optimism about staving off a cash flow crisis at CIRM with additional funding from the sale of state bonds this fall. Jonathan Thomas, a Los Angeles bond financier, told the CIRM governing board meeting here that he has been dealing with the governor's and state treasurer's offices during the past two months and is "very happy with the way things are going." Without additional funding from state bonds, the $3 billion research enterprise will face a severe cash crunch next spring. Earlier this year, the state suspended the sale of general obligation bonds, the only source of funding for CIRM. 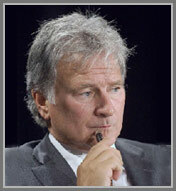 Thomas, elected in June as chairman of CIRM, did not go in details about the bond sale this fall. But he noted that it is a "tricky time" because of the state's financial crisis. The size and timing of the bond sale is yet to be determined. The state treasurer's office has said many details are still being worked out. The newly elected chairman of the $3 billion California stem cell agency is pushing forward with efforts to engage industry more deeply in state efforts to develop commercial stem cell therapies. Industry has long been unhappy with its meager share of CIRM grants – 7 percent of $1.25 billion. A blue-ribbon panel commissioned by CIRM last year recommended major improvements. The latest action by Jonathan Thomas, the Los Angeles bond financier who was elected in June to head the agency, comes in the form of a thrust to be led by CIRM co-Vice Chair Duane Roth, a San Diego businessman. Thomas' plan for engagement of industry will be discussed this evening at Stanford at the first meeting of the board's new eight-member Intellectual Property Subcommittee. "In light of CIRM’s desire to engage industry in its mission to deliver therapies and cures to patients who suffer from chronic disease and injury and the overlap between industry-related issues and the current jurisdiction of the subcommittee, Chairman Thomas, with the concurrence of Subcommittee Chair (Stephen) Juelsgaard, proposes to expand the jurisdiction of the subcommittee to include industry-related issues, such as: (1) participation by representatives of industry as members of the Grants Working Group; (2) the development and refinement of programs to incorporate industry into CIRM’s research programs; (3) financing issues relating to industry involvement with CIRM; (4) evaluation of barriers to industry engagement in CIRM-related or funded activities; (5) addressing means of encouraging industry interaction and involvement, especially in the areas of development, regulatory compliance, manufacturing and commercialization, with CIRM-funded research organizations that have identified potential promising therapies and (6) consideration and refinement of CIRM’s loan program." Juelsgaard, former executive vice president of Genentech and currently a lecturer at Stanford Law School, was appointed to the board last May by Lt. Gov. Gavin Newsom. Juelsgaard once was reported as being considered as a possible candidate for chair of the agency. Thomas said Roth would be named co-chair of the IP Subcommittee with responsibility for industry relations. Juelsgaard will deal more generally with IP issues, including "developing a program to assist CIRM grantees in protecting intellectual property generated from CIRM-funded research and to ensure that the state has an opportunity to share in the revenues arising out of CIRM-funded research." That topic is on the agenda of this evening's meeting. Also to be discussed is another industry-friendly effort: A $30 million "Opportunity Fund" to "enhance the likelihood that CIRM funded projects will obtain funding for Phase III clinical trials (e.g. follow-on financing), (ii) provide a potential source of co-funding in the earlier stages of clinical development, and (iii) provide CIRM funded projects with access to pharma and large biotech partners that can provide valuable expertise in the areas of regulatory, clinical trial design and manufacturing process development." No more lollygagging in London – that's the message from Gov. Jerry Brown to the California stem cell agency. Brown is trying to crack down on out-of-state travel, including two dozen "mission critical" international CIRM trips to such locations as Paris, Amsterdam, Japan and Australia. "Now is not the time to be lollygagging in London on the taxpayer's dime. We have quite a bit to focus on here in California." The travel issue comes as the stem cell agency will be seeking support from the governor for a significant allocation from the sale of state bonds this fall. The agency will face a severe cash crunch late next spring unless it receives additional bond funding. The Bee said that following an inquiry earlier this week by the newspaper, new CIRM Chairman Jonathan Thomas wrote to CIRM board members that he is reducing his office's travel by more than 50 percent and "has asked officials to consider similar reductions elsewhere in the agency." "I believe we can accomplish these goals while doing our part to reduce expenditures in these times of fiscal challenge." However, the amount of travel expense involved is tiny in comparison to the agency's research grants, which now total more than $1 billion. CIRM's operational budget is only $18.5 million. For the 54-person agency, the total budgeted travel (in state and out of state) for this fiscal year is $494,000,down from the $500,000 budgeted in 2010-11. The out-of-state travel budget for the office of the chair is $100,000. For the president's office, it is $107,356. "In the world of research, there are meetings all over the world, and if you don't attend you become irrelevant. ...I know none of you(other readers) will agree, but research is very different than going to Las Vegas for the WIz BAG Conference, then out on the town. Research meetings are working meetings where people doing primary research work on the problems disjointed but collaboratively in the same breath." Our comment: CIRM's travel expenses are a symbol in the context of the governor's public austerity efforts. While symbols are important, the travel expenses do not affect or come out of the state budget. They come from bond funds. CIRM's operational budget – also funded by bonds – is very tight, some say too tight to do the job right. If Brown is concerned about spending by the stem cell agency, he should focus on significant expenditures – grants and loans -- and whether the state is getting the most for its money. One way would to do that would be a true performance audit conducted under the auspices of the state controller instead of under the control of the agency itself. "The Governor’s Office recently confirmed that CIRM’s Governing Board has the authority to approve the agency’s out-of-state travel, but requested that CIRM consider reducing its travel expenditures by 50 percent. I have reviewed the proposed budget for out-of-state travel for the Office of the Chair. Although I believe the proposed travel is mission critical, as it is intended to advance CIRM’s mission by leveraging CIRM’s investment in stem cell research with investments by other countries and states with which CIRM has collaborative funding rrangements, I believe we can accomplish these goals while doing our part to reduce expenditures in these times of fiscal challenge. I have therefore decided to reduce the out-of-state travel budget for the Office of the Chair by more than 50 percent. Furthermore, I have requested that the Finance Subcommittee review the out-of-state travel budget for the other offices within CIRM to determine whether similar reductions can be made consistent with CIRM’s mission." The California state treasurer's office today reaffirmed that it intends to move ahead with a state bond sale this fall, which could be good news for the $3 billion California stem cell agency. CIRM will face a severe cash crunch in less than 12 months, roughly May or June of next year, without additional dollars. Its only real source of funding is through the sale of California general obligation bonds. "At this point, the only thing we can say with a good degree of certainty is that we'll sell (government obligation) bonds this fall. The number, size and structure of those transactions remains undetermined. Much will depend on priorities set by the Administration (of Gov. Jerry Brown), and how much new bonds they want to issue to keep current projects going or start new ones." Last May, the state said that it would sell only $1.5 billion in bonds this fall to keep borrowing costs down in light of the ongoing state budget crisis. Roughly $37 billion in long term bonds are awaiting sale, according to the state treasurer's office, including $1.9 billion in bonds for CIRM. That is likely to mean that CIRM will face competition in receiving an allocation from this fall's sale. "We need to get a firm handle on the financial situation of ongoing infrastructure projects, how much money they need, how far can they go with their current cash." "The agency faces the real possibility that it will not have timely access to the amount of bond proceeds it expected and may be forced to look elsewhere in very short order to the full funding required to meet its projected short term needs or to evaluate how to push grants out or otherwise modify expenses if that becomes necessary. And let's not kid ourselves – this problem could last for a long time." Thomas was nominated for his post at CIRM by both Lockyer and Gov. Brown, which should be of benefit to CIRM in securing bond proceeds. The California stem cell agency yesterday finished posting background information for its board meeting Aug. 25, which may be the first time it has provided the information so far in advance. The postings allow the public and interested parties enough time to examine the material and make comments, if so desired. Matters before the board next week range from a major change in review procedures in big-ticket grant rounds to action on the first stage of a $243 million effort to push therapies into the clinic. The improved posting performance appears to be linked to the election of a new chairman, Jonathan Thomas, who controls the board agenda. It is a welcome change from past practices in which information about important matters to be considered by the board was not made available in a timely fashion or sometimes was not available at all prior to a meeting. Even some board member have complained about late information. "I just wanted to let you know that all the documents for the board meeting next week are now posted. The items without docs linked to them are ones for which there will be no documents These are the chairman's report and item # 14, consideration of report from Intellectual Property Subcommittee, both of which will be reports and will not require action by the board." Some of the information, however, is less than completely developed. One matter before the board involves discussion of its translational grant portfolio. The posted background material is a simple listing of the grants with no analysis or explanation of why the subject is being discussed and no indication of what decision points are necessary, if any. Another document involves ongoing work on CIRM's critical grants management program. The document is more an outline than a comprehensible narrative and is larded with technology jargon. The full agenda can be found here with links to the background material. Scientists evaluating the Geron Corp. application for a $25 million loan from the California stem cell agency gave it a score of 66 on a scale of 100. The score was disclosed publicly this afternoon for the first time at the request of the California Stem Cell Report. Directors of the agency approved the loan last May, on a 16-1 vote, during a process that was a major departure from other funding rounds. Normally, the scores of applicants approved for funding are publicly disclosed prior to action by the full CIRM board. "Geron's application received a scientific score of 66. For context, it is important to understand that CIRM utilized new criteria for the Targeted Clinical Development RFA on a pilot basis. As a result, the scores in this round should not be compared to scores for applications submitted in response to other RFAs, in which the piloted criteria were not used; the Geron score is only relevant when compared to other scores for applications in the same round. Here, there were no other scored applications presented to the Board as the other applicants withdrew. As a result, CIRM concluded that the most important information was whether or not the application had been recommended for funding and that presenting the score for the Geron application would not provide meaningful information." In addition to not disclosing the score prior to board approval, CIRM failed to provide the usual summary of grant reviewer comments. The three other applicants in the $50 million round all withdrew prior to presentation to the CIRM board – another first in CIRM's grant program. And no public explanation was provided at the time for the departures from long-established procedures used for more than 400 grants and loans. Harrison has defended the handling of the Geron application, declaring that it was needed to protect confidential information. The state of California chalked up a historic first last May when its stem cell research agency approved a $25 million loan to a corporation engaged in another first – a clinical trial for a treatment created from human embryonic stem cells. It was the first time that the state has funded a clinical trial -- one watched by untold numbers of persons globally who hope that stem cells will ease their pain and cure their suffering. The funding is also critical to Geron Corp. of Menlo Park, Ca., which initiated the safety trial for its spinal injury stem cell therapy. "It's just possible that this trial might have faltered without our backing." Approval of the loan, however, came after the $3 billion stem cell agency publicly deviated significantly from its normal funding procedures. The Geron application was not given a public scientific score, standard practice for all the other 433 applications that the agency has approved over the last six years. The usual summary of grant reviewer comments was not provided to the public or the board. The three other applicants in the $50 million round all withdrew prior to presentation to the CIRM board – another first in CIRM's grant program. And no public explanation was provided at the time for the departures from long-established procedures. "CIRM has a significant challenge and responsibility to protect the confidentiality of the companies’ submissions as any violation could have adverse consequences for the companies, including a material disclosure, particularly for those companies that are publicly traded." Regarding the failure to provide a summary of grant reviewer comments, Harrison said a summary was indeed available, pointing to a document that contained only a 67-word listing of the criteria used by evaluators. By contrast, the top-scoring applicant for a $14.6 million disease team grant in 2009 had a 1,219 word summary review. Regarding withholding the scientific score of the Geron application by reviewers, Harrison said publishing it would have been "confusing" because all the other applicants had dropped out. "In this case, three applicants, on their own volition, withdrew their applications before the board meeting and therefore the applications were not presented to the board." "CIRM has made no assurances, either directly or indirectly, to any applicants, including the applicants for the Targeted Clinical Development Awards, regarding future funding. CIRM does try to assist applicants by providing feedback, where appropriate." "This was CIRM's first clinical trial review and we expect to strengthen and refine the procedures for the next round, including explaining to the public how and why clinical review summaries differ from other CIRM grant review summaries." Geron's application was approved in May by directors on a 16-1 vote. The dissent came from Joan Samuelson, a patient advocate member of the board and a member of the grant review group. According to the transcript of the directors meeting, she said the trial was not ready and CIRM was not ready. "There were lots of -- this is based on the peer review and the comments by the scientist members of the grants working group. There were many concerns that many of the scientist members felt should be satisfied before embarking on a clinical trial and they weren't." "I want to make it clear, making the decision to move towards and into a clinical trial is a very complicated decision. It's not black and white. It's based on judgment, on experience, on science, and the data, and there's not really a right or wrong answer. And I just think that the tenor of the discussions that we've had, the tenor of the discussions of the grant review group had were appropriately deliberative and considered all the different issues." Here is the text of what the California stem cell agency said concerning the unusual procedures in the approval of the $25 million loan to Geron in May 2011. The statement came in response to emailed questions from the California Stem Cell Report. James Harrison of Remcho, Johansen & Purcell of San Leandro, Ca., outside counsel to the board, prepared the statement after consulting with the chairman, vice chairmen and senior management of the agency. Here are the questions posed by the California Stem Cell Report..
"Why wasn't the grant scored? "Were the other applicants encouraged by CIRM in any manner to drop their applications? Were the other applicants given any sort of assurances -- including a wink or a nod -- indicating that they would be approved or have a better chance later? "Why wasn't the grant reviewers' summary posted on the CIRM web site? Was a grant review summary ever prepared? "Does CIRM expect that its conduct in this case will inspire confidence on the part of other applicants that they will receive fair treatment in the future? How does the unusual handling of this round square with CIRM's vows to adhere to the highest standards of openness and transparency?" "Before I answer your questions, I wanted to provide you with some context. As you know, the Targeted Clinical Development Award program represented CIRM’s first effort to fund clinical research, a highly specialized area of medical research. As a result, CIRM had to develop new criteria and processes for the review of applications. In addition, the agency hired Dr. Ellen Feigal, who has tremendous clinical experience, as Vice President for Research and Development to oversee CIRM’s clinical program. Indeed, Ellen participated in the Grant Working Group’s Targeted Clinical Development review within days of being hired. We recognized when we issued the Targeted Clinical Development RFA that this was an iterative process and we intended to learn from this first effort in order to refine our procedures for future rounds of clinical awards. We have already begun to work on these refinements, including a procedure to obtain supplemental information which will be presented to the Board in August. "It is also important to bear in mind that one of CIRM’s major goals is to collaborate with the biotechnology and pharmaceutical sectors to bring therapies from the bench to the bedside, and CIRM’s clinical trial program represents one of our most important opportunities to engage with companies. In order to work with companies, we need to be able to assure them of CIRM’s capacity to protect their proprietary information and their ability to obtain financing. This is particularly true for companies involved in clinical research:. At this stage of commercial product development, many things are proprietary (e.g., FDA communications, data, clinical plans, etc. ); therefore, CIRM has a significant challenge and responsibility to protect the confidentiality of the companies’ submissions as any violation could have adverse consequences for the companies, including a material disclosure, particularly for those companies that are publicly traded. Thus, we were mindful of the importance of protecting the confidentiality of the applicants for Targeted Clinical Development Awards. "Why wasn't the grant scored? The Grants Working Group did score the application, but given the fact that the application was reviewed pursuant to new criteria and was the only application presented to the Board, we concluded that presenting the score without context would have been confusing. We therefore presented the GWG’s recommendation without the score. "Were the other applicants encouraged by CIRM in any manner to drop their applications? Every applicant for CIRM funding has the right to withdraw its application for funding before the Board considers the application. In this case, three applicants, on their own volition, withdrew their applications before the Board meeting and therefore the applications were not presented to the Board. "Were the other applicants given any sort of assurances -- including a wink or a nod -- indicating that they would be approved or have a better chance later? CIRM has made no assurances, either directly or indirectly, to any applicants, including the applicants for the Targeted Clinical Development Awards, regarding future funding. CIRM does try to assist applicants by providing feedback, where appropriate. "Why wasn't the grant reviewers' summary posted on the CIRM web site? A public summary was prepared and posted on CIRM’s website; given the fact that much of the information relating to the review was proprietary, the summary was, by necessity, brief. "Was a grant review summary ever prepared? Yes, see above. "Does CIRM expect that its conduct in this case will inspire confidence on the part of other applicants that they will receive fair treatment in the future? Yes, we believe that the care CIRM took in protecting the confidential information of applicants serves applicants, grantees and the public. The protection of applicants’ confidential information is critical to CIRM’s success." "How does the unusual handling of this round square with CIRM's vows to adhere to the highest standards of openness and transparency? CIRM’s mission is to fund research to find therapies and cures for chronic disease and injury – we believe that CIRM’s handling of the clinical trial awards serves this goal and is consistent with our commitment to transparency and to protecting applicants’ confidential information." After receiving Harrison's comments, we asked the following questions. "Perhaps you can point me to something else. perhaps I missed it in the transcript. Thanks." "You identified the correct summary. As I mentioned in my earlier email, because of the proprietary nature of the information, the review summary was, by necessity brief. This was CIRM's first clinical trial review and we expect to strengthen and refine the procedures for the next round, including explaining to the public how and why clinical review summaries differ from other CIRM grant review summaries." Directors of the California stem cell agency will meet next week to begin the first stage of giving away $243 million in their pursuit to push a stem cell therapy into the clinic. The immediate effort involves $3.3 million in planning grants for the second round of the CIRM disease team program. Applications are targeting cancer, HIV, Alzheimer's, ALS, Huntington's Disease, Parkinson's and muscular dystrophy, among others. The next step in the disease team effort will be much larger – $240 million, to be awarded next summer with roughly $20 million for each grant. For the smaller planning grants to be awarded next week, 36 researchers applied for cash of up to $100,000. Nineteen were approved for funding by the grants review group, which is tantamount to full CIRM board approval. Their scores ranged from 87 to 62. One application was approved for funding but no score was listed. However, that application was ranked below the application with a score of 62. CIRM provided no explanation for failing to publish the score. Names of applicants were not disclosed in keeping with the agency's longstanding practice. The disease team round was open to both business and academic researchers. We have queried CIRM about whether any businesses applied. The stem cell industry has been less than happy with its meager share of CIRM grants. The $3 billion agency's new chair, Jonathan Thomas, has indicated he wants to make CIRM more industry friendly. The board meeting next week will be Thomas' first full session as chairman. The meeting was originally scheduled for two days, which was not uncommon under the tenure of former Chairman Robert Klein. But next week's session has been reduced to one day under Thomas. The agenda also seems not as fully packed as under Klein, although it has two executive sessions that could consume a fair amount of time. One deals with the evaluation of CIRM President Alan Trounson. The other deals with proprietary matters on grant applications. Heavy agendas during the Klein era often generated quorum problems because of the supermajority requirements for voting by the board. It took so long to work through the material that competing priorities among board members meant that some – sometimes quite a few – had to leave. Today – with eight business days before the Aug. 25 meeting – the agenda has a fair amount of background material posted, giving interested parties a chance to examine the information in a timely fashion. Included on the agenda is a document about CIRM's ongoing issues, including security, with its self-developed, computerized grants management program, a listing of its translational grant portfolio and a plan to extend its $44 million researcher recruitment effort. The CIRM board also has plans to take up a report from its new Intellectual Property Subcommittee. The full board agenda contained no indication of what the report would deal with, but presumably it will involve a new, $30 million program aimed at the stem cell industry. That program will be acted on by the IP subcommittee next Monday, preceding the full board meeting. The panel's recommendation would normally go to the full board meeting on Aug. 25. Also missing from the agenda is any explanation of the purpose of the discussion of the translational grant portfolio or analysis of the portfolio. Additionally, still to come is the latest version of changes in the grant review process for CIRM's big-ticket grant efforts as well as a job description for CIRM's first-ever chief financial officer. The job description effort has been underway for some months and is linked closely to issues involving CIRM's controversial dual executive arrangement between the chairman and president. The new CFO will be reporting to both the president and the chairman. The former chairman of the $3 billion California stem cell agency -- Robert Klein -- last week fired off an email touting the accomplishments of his tenure in a statement that had many of the earmarks of an election campaign document. The 3,770-word missive was emailed under the auspices of Americans for Cures, Klein's stem cell lobbying group which has the same address as his Palo Alto real estate investment banking firm. Presumably the email went to a national audience. Americans for Cures said in an introduction to the statement that Klein is now preparing "for the next installment of this magnificent effort," which could well be another statewide bond election seeking additional billions for stem cell research. Klein directed the 2004 ballot campaign that created CIRM. CIRM will run out of cash in about 2017. It relies on borrowed money – state bonds – for its operations and grants. Interest costs double the real expenses of the program, making what appears to be a $20 million grant actually cost around $40 million. Another stem cell bond measure is not likely to be attempted until 2014 or later. California's current financial crisis makes it unlikely that a bond measure would win voter approval any time soon. Titled "Bob Klein's last words as chair of the stem cell board," the document clearly reflects Klein's view of the California stem cell world. Almost needless to say is that there are other, more measured perspectives. The Wall Street Journal today reported a sharp upturn in retractions of scientific studies and a trend in research fraud that one editor of an influential scientific journal called a "scar on the moral body of science." The journal's page one piece was headlined, "Mistakes in Scientific Studies Surge." The article documented instances in which hundreds of thousands of persons were treated on the basis of faulty research. "Science is based on trust, and most researchers accept findings published in peer-reviewed journals. The studies spur others to embark on related avenues of research, so if one paper is later found to be tainted, an entire edifice of work comes into doubt. Millions of dollars' worth of private and government funding may go to waste, and, in the case of medical science, patients can be put at risk." The Journal piece has implications for the California stem cell agency, which ballyhoos the number of papers its grant recipients publish -- some 600 or so from $1.3 billion in grants and loans. The agency also has established critical bench marks for performance that must be verified on some big-ticket grants if state money is to continue to flow to recipients. And CIRM grants are awarded on the basis of a peer review process. "Since 2001, while the number of papers published in research journals has risen 44%, the number retracted has leapt more than 15-fold, data compiled for The Wall Street Journal by Thomson Reuters reveal. "Just 22 retraction notices appeared in 2001, but 139 in 2006 and 339 last year. Through seven months of this year, there have been 210, according to Thomson Reuters Web of Science, an index of 11,600 peer-reviewed journals world-wide." The article said that retractions related to fraud increased more than sevenfold between 2004 and 2009, according to an analysis in the Journal of Medical Ethics, a finding also supported by another researcher. "Why the backpedaling on more and more scientific research? Some scientific journals argue that the increase could indicate the journals have become better at detecting errors. They point to how software has made it easier to uncover plagiarism. "Others claim to find the cause in a more competitive landscape, both for the growing numbers of working scientific researchers who want to publish to advance their careers, and for research journals themselves. "'The stakes are so high,' said the Lancet's editor, Richard Horton. 'A single paper in Lancet and you get your chair and you get your money. It's your passport to success.'" Naik continued, "The apparent rise in scientific fraud, said Dr. Horton 'is a scar on the moral body of science.'" "One must jump (through) many hoops in conforming to proper authorities." The new chairman of the California stem cell agency, Jonathan Thomas, last week reported that he has more than $3 million in investments, including holdings in an enterprise that invests in "distressed debt" and in a consulting firm that teaches businesses how to "out-behave the competition." Thomas' statement of economic interests -- required by state law – disclosed that the bond financier has more than $1 million invested in Saybrook Capital of Santa Monica, Ca., a firm that he co-founded. Thomas is currently a partner in the firm, which deals with "distressed debt," including government bonds. He has said he will continue to be involved with the business while he also serves the part-time (80 percent) chairman of CIRM at a salary of $400,000. In his statement, Thomas also reported that as of taking office on June 23 he had a more than $1 million investment in the Saybrook Opportunity Fund and another $1 million-plus holding in LRN, a Los Angeles-based firm that provides "legal/ethical" consulting. LRN was founded in 1994 by Dov Seidman, an attorney and author of the book "How." On the firm's web site, Seidman said he started LRN "with a powerful vision that the world would be a better place if more people did the right thing." Since then, the firm says it has consulted with 500 companies including Pfizer, Johnson & Johnson, eBay, 3M and Walt Disney. We asked Thomas about he came to be involved in LRN. Scott Tocher, counsel to the CIRM chair, replied via email that Thomas "knew the gentlemen who founded the company and thought it was a very interesting business model and on that basis made his investment." Thomas' holdings also include shares in 71 different companies for a total that could range from $206,000 to $1.4 million. Most of the holdings were less than $10,000 each. Eight ranged between $10,001 and $100,000. The state disclosure law requires reporting of investment values only in broad ranges. Thomas disclosed holdings in four pharmaceutical companies: Allergan, Gilead Sciences, Pfzer and Watson Pharmaceuticals. The investments ranged from $2,000 to $10,000. A similar investment was reported in Thermo Fisher Scientific, which makes stem cell research equipment. Pfizer is deeply involved in stem cell research, including a $100 million commitment in the United Kingdom. 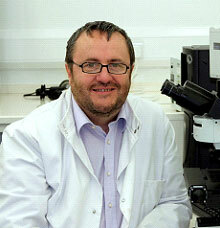 The Pfizer effort includes a collaboration with Peter Coffey at University College of London. Last fall, CIRM directors awarded Coffey $4.9 million to lure him to UC Santa Barbara. Coffey is also involved in a joint $24 million research program backed by CIRM and the UK. Thomas reported income of between $10,001 and $100,000 each from Saybrook and CSI Management Limited. Tocher said CSI is the contracting affiliate for CSIP Group of Los Angeles, a private equity firm with a primary focus on China. Thomas' statement shows that he had a more than $100,000 share in the gross income of Saybrook Capital. Tocher said that state law required the disclosure "regardless of whether or not JT actually received any income. As is typical of private equity firms, not all income is distributed for a variety of reasons (reserves, co-investment, etc.)." The statement also disclosed Thomas' $3,239 investment in Advanced Cell Technology of Santa Monica, Ca., a human embryonic stem cell research firm. Thomas last month sold the ACT stock at what he said was a "significant loss." California stem cell researcher Mahendra Rao is returning to the NIH after five years as vice president at Life Technologies in Carlsbad, Ca. NIH Director Francis Collins yesterday announced that Rao will be director of the NIH Intramural Center for Regenerative Medicine. The new center is an effort by the NIH to speed development of stem cell therapies. Rao left the NIH in 2006 because he was restricted in his work on human embryonic stem cells. He said he could not do the job he was hired to do so he left. While in California, Rao was connected to the Buck Institute for Age Research in Northern California and was involved in the activities of the California stem cell agency. When is a "performance audit" not a performance audit? Answer: When the California stem cell agency commissions it. Under a new law, the $3 billion state research effort is required to conduct its first-ever "performance" audit this year and again every three years. Under the law, CIRM could have stipulated that the audit would include scientific performance, but it has chosen not to do so. Instead, the audit will primarily examine "policies and procedures" for issuing contracts, grants and treatment of intellectual property to determine how well the agency is doing. Admirable goals but certainly not even close to a full measure of CIRM's performance. Most would agree that the paramount measure is whether the agency has made good on the promises of the 2004 election campaign that created it. To do that would require an examination of CIRM's scientific program and the results it has generated. The agency plans to pay $250,000 for the audit, selecting a bidder next month. The deadline for firms to present their bids is Friday. At least 10 firms have expressed an interest in the contract. They include Teeb Lead Project Management Solutions, Capital Partnerships Inc. (also dba The Resources Company), Crowe Horwath LLP, KPMG LLP, IntelliBridge Partners, Moss Adams LLP, Level 4 Ventures, Inc., Thompson, Cobb, Bazilio& Associates, PC; Moss Adams LLP, Strategica, Inc., and Sjoberg Evashenk Consulting, Inc. The requirement for the audit was contained in legislation authored by State Sen. Elaine Alquist, D-San Jose. When she introduced her bill last year, she said CIRM is "essentially accountable to no one." Alquist initially would have placed the performance audit in the hands of an independent, third party, the state controller, instead of CIRM itself. The controller, the state's top fiscal officer, is chairman of the only state body, the Citizens Financial Accountability Oversight Committee, specifically charged with evaluating the performance of the stem cell agency and its board. Introduction of the legislation came after Controller John Chiang and the committee unanimously called for more accountability at CIRM. The legislation also originally provided that the audit would include CIRM's strategic policies and plans, which would have brought scientific matters under scrutiny. But as the bill moved through the legislature, CIRM was successful in amending it to remove the "strategic policies and plans" language. Also inserted was language that the audit did not need to cover scientific performance, which gave CIRM more control of the scope of the audit. However, CIRM took the matter further this summer. In its RFP for the audit, the agency misstated the statute, telling potential bidders that the law bars an examination of scientific performance, when in fact it does not. "The statute specifically excludes scientific performance from the scope of the audit." "The performance audit shall not be required to include a review of scientific performance." "The statement is correct because it is intended to convey that a scientific review is expressly excluded from the required audit areas. Furthermore, most government accounting firms do not have the expertise to conduct a scientific review. That is one of the reasons we have asked the IOM (Institute of Medicine) to conduct a study." The $700,000 IOM study is more far-reaching, but has also been commissioned by CIRM. The IOM has a reputation for independence. However, any examination that is paid for by the agency that is the subject of the scrutiny will always face questions about its objectivity. It goes to the old saying about he who pays the piper, calls the tune. Both the performance review and the IOM study are certain to become election campaign documents in a couple of years. CIRM survives only on money that the state borrows – bonds. And the agency is aiming for voter approval of another multibillion dollar bond measure to continue its operations beyond about 2017. To win support, CIRM and its backers undoubtedly will ballyhoo what it presumes will be favorable findings to bolster its bid for more cash. If you have not yet made nominations for the 14-member Institute of Medicine panel that will assess the operations of the $3 billion California stem cell agency, this is the last week that you will have a chance to do so. Friday is the deadline for the IOM's call for nominations. The institute is looking for "expertise in (but not limited to) stem cell research, developmental biology, bioethics, research administration, financial structures for biomedical research, program evaluation, economics and finance, business administration, and intellectual property." Adrienne Stith Butler, the IOM study director, said this morning that she has received about 200 nominations so far, which she said is about normal for studies that she has worked on. Chairman Robert Klein is at left and co-Vice Chairman Art Torres in center. The new chairman of the $3 billion California stem cell agency, Jonathan Thomas, has sold "at a significant loss" the 17,046 shares he held in a California-based stem cell firm. In response to a query from the California Stem Cell Report, Thomas, a bond financier in Los Angeles, said that his stock in Advanced Cell Technology of Santa Monica, Ca., was sold recently at 19 cents a share or a total of $3,239. Over the last 12 months the stock price of ACT has ranged from four cents to 27 cents. Thomas did not disclose size of the loss he took on his investment. "To put the sales in context from a volume standpoint, ACT has had a three month average daily trading volume of over 4.9 million shares. With these sales, I have no remaining investment of any kind in ACT stock. All sales were at a significant loss." 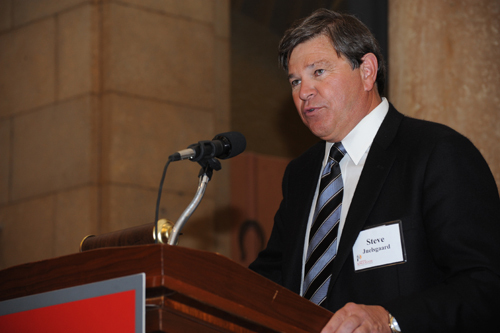 Thomas will remain a partner at Saybrook while serving as the part-time (80 percent) chairman of CIRM. "As I proceeded through my career in law and finance, I took particular interest in stem cell research and looked for a company to work with in that arena. In 2000, I began tracking Advanced Cell Technology (or "ACT"), a then fledgling-company pursuing therapeutic products from embryonic stem cell research. After extensive review of their intellectual property portfolio and lengthy due diligence, I led an early round financing to cover the company’s operating expenses. I have tracked ACT over the years and am familiar through it with the ups and downs typical of the biotechnology industry. Now, 11 years later, ACT has two of the three products derived from embryonic stem cell research currently in clinical trials. It will be interesting to see how things play out." ACT moved its official headquarters to California after passage in 2004 of Prop. 71, the ballot measure that created the state's stem cell research effort. ACT has applied for grants from the stem cell agency, but never received one. At one point, an ACT researcher publicly complained about conflicts of interest in the grant review process. CIRM, however, gave short shrift to the complaint. ACT reportedly applied for a loan from CIRM in its recent $50 million clinical trial round. But the company was not identified as a winner when directors approved a loan to Geron in May. However, ACT is reportedly in line for an award later this year from CIRM, according to industry scuttlebutt.